LAND ROVER LR030432, LR047217. Fuel Type Diesel. Model year from: 09/2011; Fuel Mixture Formation: Common Rail (CR). Fuel Mixture Formation: Common Rail (CR). Function High Pressure Pump. JAGUAR XF (X250) 2.2 D Saloon Diesel 05/2011 04/2015 RWD 16 190 140. RANGE ROVER EVOQUE L538 LAND ROVER FREELANDER 2.2 DIESEL. HIGH PRESSURE FUEL PUMP. IF THERE IS A PART YOU ARE LOOKING FOR AND YOU CAN NOT FIND IT. LAND ROVER RANGE ROVER EVOQUE Convertible (L538) 2.0 4x4 Convertible Petrol 11/2015 on AWD 16 241 177. LAND ROVER RANGE ROVER EVOQUE Convertible (L538) 2.0 4x4 Convertible Petrol 08/2017 on AWD 16 241 177. LAND ROVER RANGE ROVER EVOQUE. LAND ROVER RANGE ROVER VELLAR. LAND ROVER DISCOVERY SPORT. FUEL INJECTION PUMP. PARTS COLOUR MAY VERY DUE TO MANUFACTURE PRODUCTION. PART NUMBERS ARE FOR REFERENCE ONLY AND DO NOT IMPLY THE MANUFACTURER. Range Rover Evoque 2015 On. Removed from a 2016 Land Rover Range Rover 2.0 177Bhp - 5 Door Estate - Diesel - 9 Speed Automatic - Engine Code. Fuel Tank Sender and Pump Unit. Land Rover. Range Rover. “Great Bridge Parts” has high reputation for both quality and service and believes itself to be the market leader in vehicle recycling in West Midlands. RANGE ROVER EVOQUE L538 2.0 DIESEL. REMOVED FROM RANGE ROVER EVOQUE L538 2017 FACELIFT AUTOBIOGRAPHY 4WD 2.0 DIESEL AUTOMATIC GEARBOX IN WHITE. FUEL PUMP IN TANK. PART NUMBER GJ32-9H307-EB. IF THERE IS A PART YOU ARE LOOKING FOR AND YOU CAN NOT FIND IT. Model - RANGE ROVER EVOQUE (LV_). Year of Manufacture - 2016. Part number - GJ32-9H307-EB. FOR RANGE ROVER EVOQUE L538. This is an original quality part manufactured by Bosch. Part specifications. We just want you and your car to be happy! We will always attempt to rectify the issue as fast as possible! Fuel Type::Diesel. You'll have the part ASAP. Eg, Vetech, Erst Klassig, Franzen, NK, etc. This is suitable for all Range Rover Evoque, Discovery V & Discovery Sport 2.0L Diesel models from approx 2016 onwards. 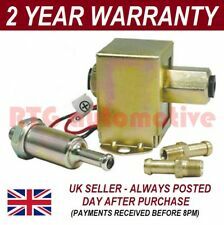 High lift diesel fuel pump for a Land Rover Evoque/discovery sport 2.2 used but fairly new. From breaking the following donor vehicle. WE BUY LATE VEHICLES FOR DISMANTLING. LR104013 / LR095800 / HJ32-9D420-AF. 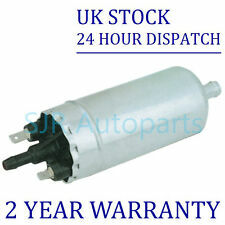 Genuine Range Rover Evoque Fuel Pump and Filter. MALTINGS TRADE CLUB MEMBERS RECEIVE FURTHER DISCOUNTS CALL FOR DETAILS!!!!!! 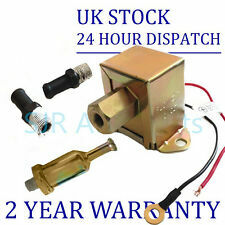 REMAN HIGH PRESSURE FUEL PUMP WITH 12 MONTHS WARRANTY LR047217. FITS. FREELANDER 2 2.2 TD4 2007-2015 RANGE ROVER EVOQUE 2.2 TD4 ALL DISCOVERY SPORT 2.2 TD4 WE WILL REQUIRE THE OLD UNIT ONCE THE JOBS IS DONE. A COLLECTION WILL BE ARRANGED BY US. ANY QUESTIONS CALL OUR PARTS TEAM WHO WILL BE HAPPY TO HELP. WE DO ALL PARTS FOR ALL LANDROVERS BOTH PATTERN AND GENUINE AT VERY COMPETITIVE PRICES PLEASE CALL US ON THE PARTS LINE FOR ANY PART YOU MAY REQUIRE, WE ARE ALSO HAPPY TO GIVE ADVISE IF YOU NEED ANY. MALTINGS OFF ROAD LTD WESTWOODSIDE DONCASTER DN9 2AR BECOME A MALTINGS TRADE CLUB MEMBER AND RECEIVE FURTHER DISCOUNT ON EBAY ITEMS,FREE CARRIDGE AND FREE LANDROVER TECHNICAL SUPPORT FROM OUR SERVICE DEPARTMENT. CALL FOR DETAILS!!!. FORD 5162174, AG9E9D376AB, AG9Z9350B. High Pressure Petrol Fuel Pump 0261520151 Bosch. Part Number 0261520151. FORD FOCUS III 2.0 ST Hatchback Petrol 07/2012 on FWD 16 250 184. Fuel Mixture Formation: Petrol Injection. 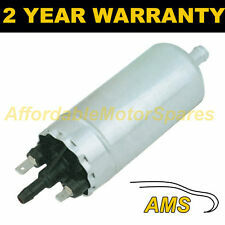 Part Number: LR030860 Superseded By LR025599. Range Rover Evoque (2012 onwards) - 2.0L 16v Turbo Engines Only. Land Rover Freelander 2 LR2 (2011 - 2016) - 2.0L 16v Turbo Engines Only. FOR RANGE ROVER EVOQUE L538. Fuel Type:Diesel. This is an original quality part manufactured by Bosch. Part specifications. Part Number: LR038311. Range Rover Evoque (2012 onwards) - 2.0L 16v Turbo Engines Only. Land Rover Freelander 2 LR2 (2011 - 2016) - 2.0L 16v Turbo Engines Only. Part Number : 0261520151. The Bosch Group is a leading global supplier of technology and services. If its sales and service partners are included, then Bosch is represented in roughly 150 countries. The high-pressure pump is responsible for compressing the fuel supplied by the electric fuel pump to the pressure required for high-pressure injection up to 20 MPa (200 bar). Bosch Spark Plugs. Bosch Glow Plugs. 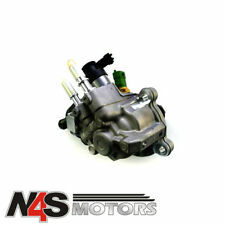 Removed from a 2008 Land Rover Freelander 2.2 160Bhp - 5 Door Estate - Diesel - 6 Speed Automatic - Engine Code 224DT (QJB2). 224DT (QJB2). Freelander 2 2007 To 2010. Land Rover. Manufacturer Colour. 5 Door Estate. LAND ROVER LR030432, LR047217. High Pressure Diesel Pump 0445010298 Bosch. Part Number 0445010298. Model year from: 09/2011; Fuel Mixture Formation: Common Rail (CR). Fuel Type Diesel. Fuel Mixture Formation: Common Rail (CR). We just want you and your car to be happy! Fuel Type::Diesel. You'll have the part ASAP. We will always attempt to rectify the issue as fast as possible! Eg, Vetech, Erst Klassig, Franzen, NK, etc. Belt Tensioner Wheels & Bkts. Suspension Ball Joints. Windscreen Wiper Blades. Injection Pump. Any claims after 24 hours cannot be accepted. Rear Lights. Front Exhausts Cats. Estimates can be provided beforehand but prices may differ upon ordering. FORD MONDEO IV (BA7) 2.0 EcoBoost 07/2010 -. FORD MONDEO V Hatchback 2.0 EcoBoost 09/2014 -. FORD MONDEO V Saloon 2.0 EcoBoost 05/2015 -. FORD MONDEO V Saloon 2.0 EcoBoost 09/2012 -. FORD MONDEO V Turnier 2.0 EcoBoost 09/2014 -. (Output connections: 8mm and 9 mm, both all can be used. Item included: Fuel pump x 1. 1) Rubber body, good oil proof, good air proof. 5) The pump is temperature resistant up to 95℃. Material: Rubber. 4x Einspritzdüse Jaguar Land E-Pace Discovery Evoque 2,0 D 204DTD G4D3-9K546-AA. Inyector Boquilla de inyección XF F-Pace E-Pace Discovery Evoque 2,0 D 204DTD G4D3-9K546-AA. Typ XE XF F-Pace E-Pace Discovery Evoque.